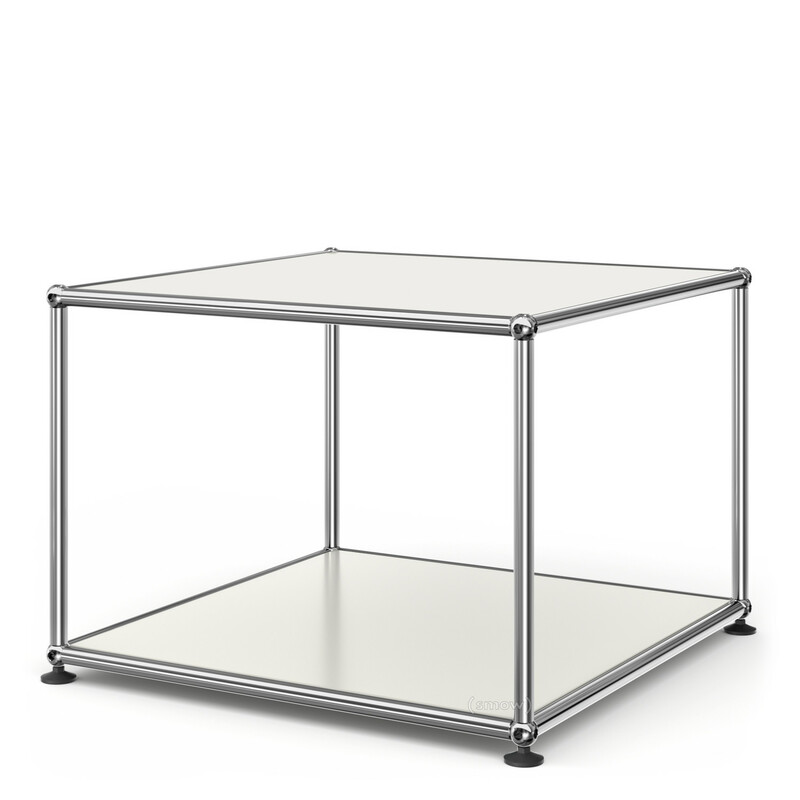 The USM Haller Table 50 is the larger of two USM side tables; side tables which have established themselves next to the numerous USM shelving units as central components of the Swiss furniture manufacturer's portfolio. 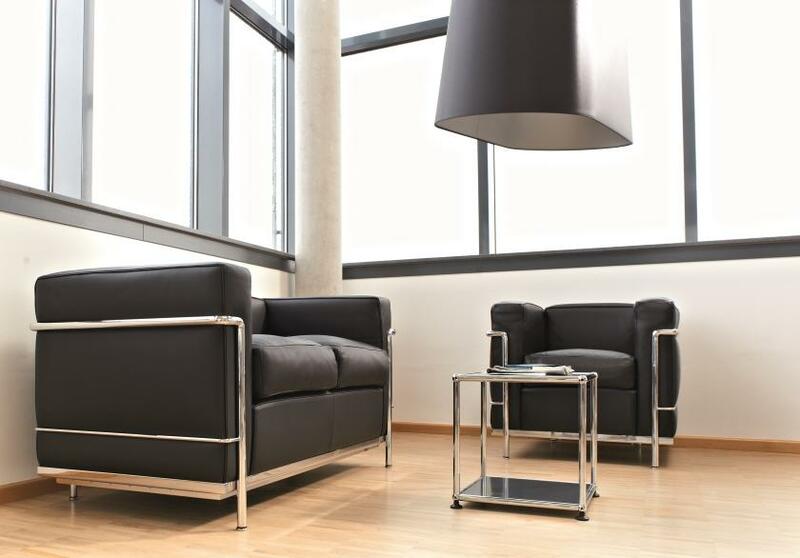 The Swiss architect Fritz Haller created new factory and office buildings for Swiss metal fabricators USM in 1961, and in 1963 designed office furniture for his new USM office pavilion Münsingen; and thus a furniture system that has evolved into the modern contemporary design classic. Series production began in 1969, following a commission to furnish the Rothschild Bank Paris, and by the 1970s the USM furniture system had established itself globally as a practical solution for the new concept of flexible open plan offices. 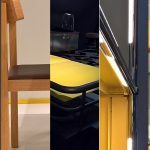 Following the guiding principles that furnishings are not a state but a process, all USM furniture is individually planned for its required function and, if necessary modified in shape, size and equipment to meet new requirements. 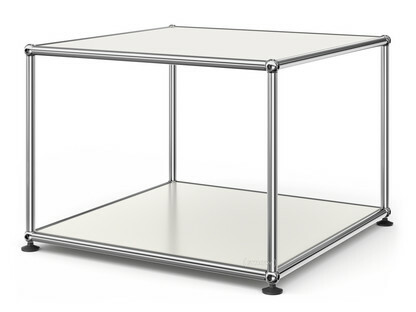 In addition to the popular USM Haller units the programme now includes USM Haller tables and USM Haller side tables. 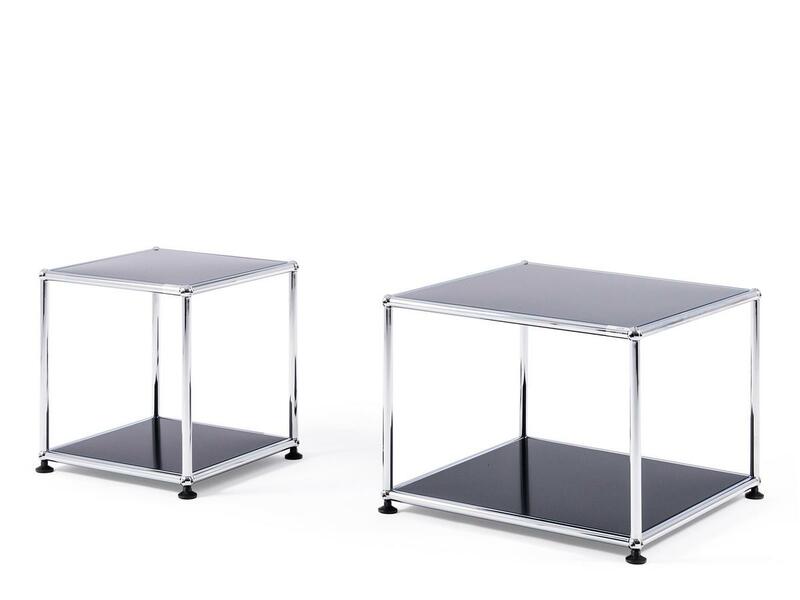 The USM Haller Table 50 is the larger of the two side tables and can be purchased through smow online with tops made of glass or metal in different colours. 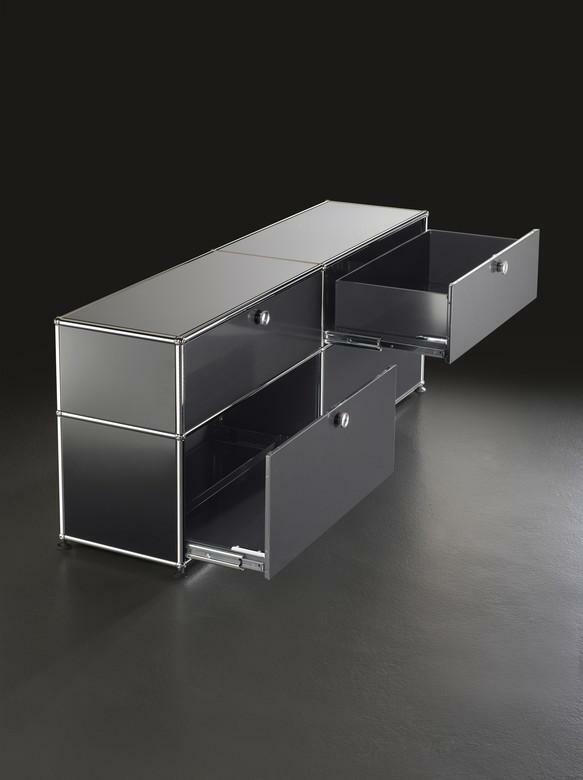 Born in Solothurn, Switzerland in 1924 Fritz Haller worked hi whole life as an architect, is however best remembered for his furniture design work, in particular the modular furniture system USM Haller, a system that also clearly presents Haller's architectural background. During his studies Haller developed a functionalist approach to architecture and later built several schools, office buildings and industrial facilities in Switzerland later in this international style. 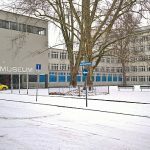 According to the functionalist doctrine Haller also planned in the early 1960s factory and office facilities for USM, a contract from which the modular furniture system arose as an office furniture solution for the new USM office pavilion. 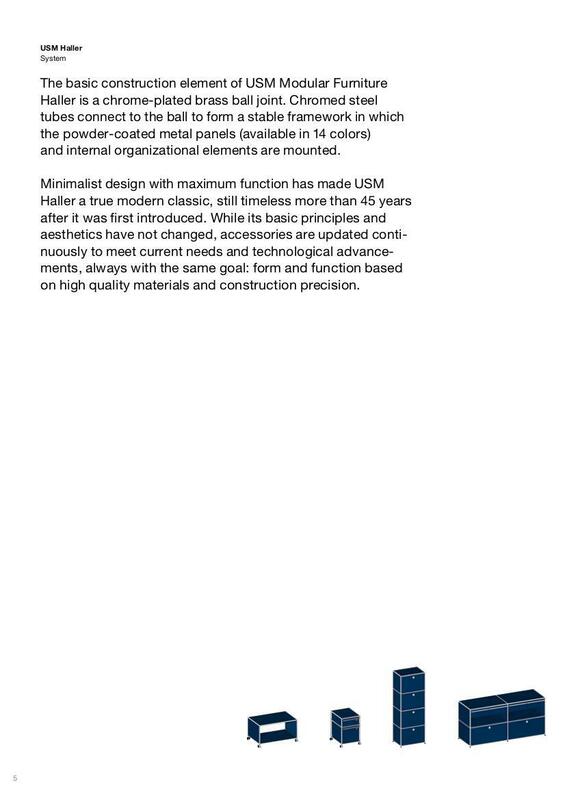 Today an internationally adored design system USM Haller is popular in both commercial and domestic situations, and is included in the permanent collection of the Museum of Modern Art in New York. 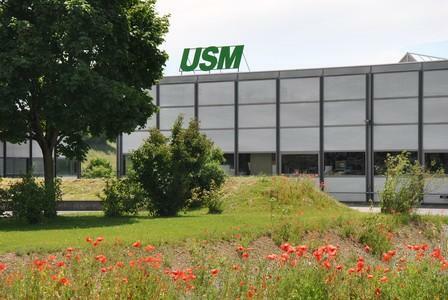 All components of all USM Haller units are produced at the company's headquarters in Münsingen, Switzerland. 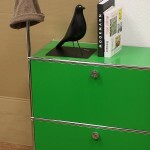 In addition to producing the raw components the metal shelves are powder coated in Münsingen in a new state of the art, environmentally friendly coating facility. 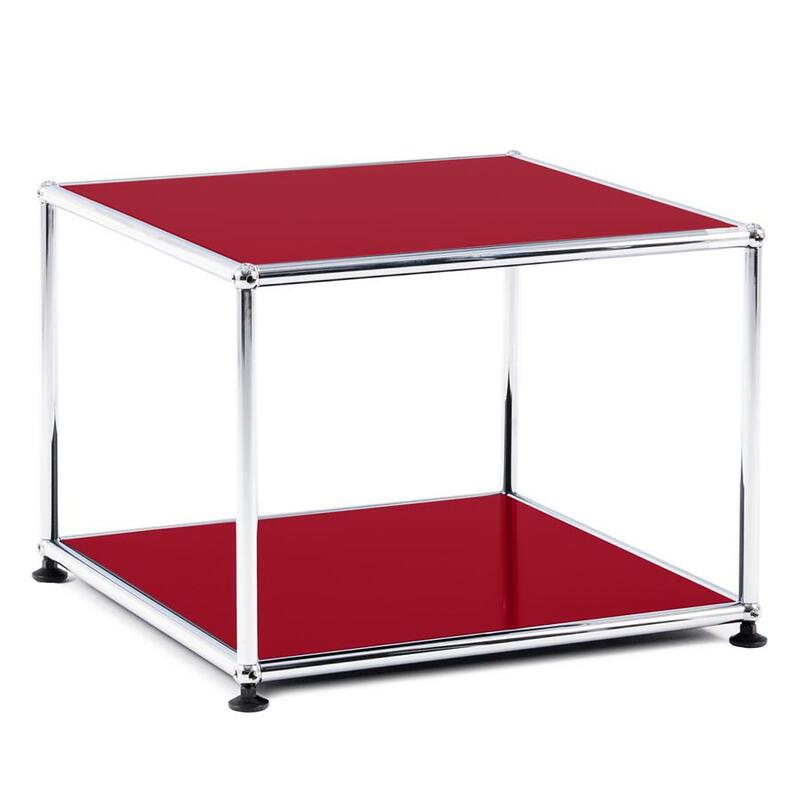 In addition to the classic USM Haller white, all USM Haller furniture is available in thirteen other colours. Components intended for the German market are transported unassembled to the USM factory in Bühl, Baden-Wuerttemberg where they assembled and subsequently dispatched. 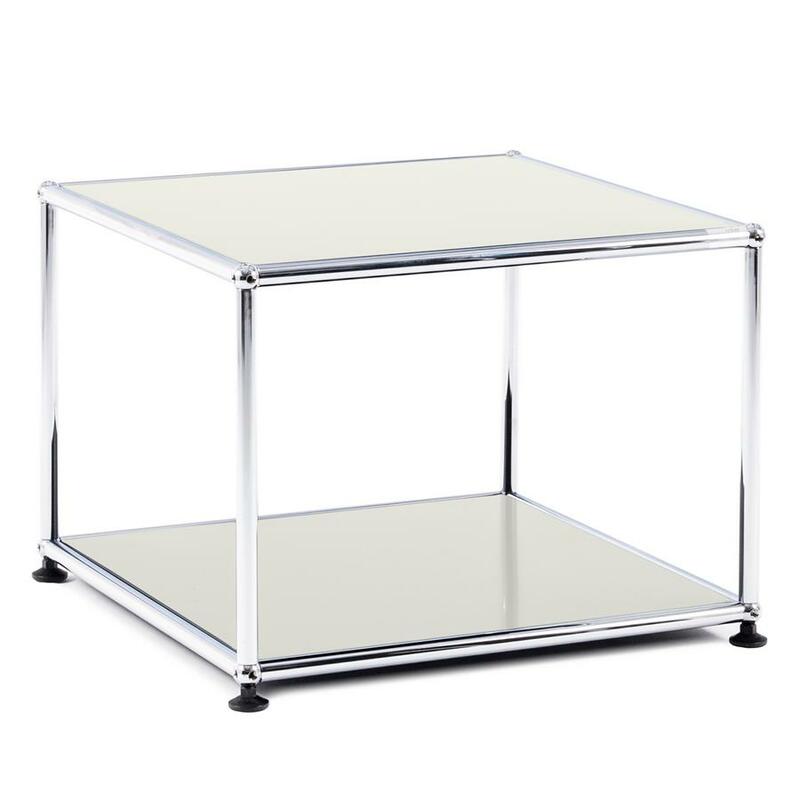 As a result the shipping and storage of bulky voluminous furniture is reduced. Beyond shipping considerations USM Haller shelves the main environmental claims of the USM Haller modular furniture system are focussed on the fact that only high quality - and durable - materials are used in the production and on the systems inherent flexibility and thus the fact that once bough a USM unit will accompany you for a lifetime. 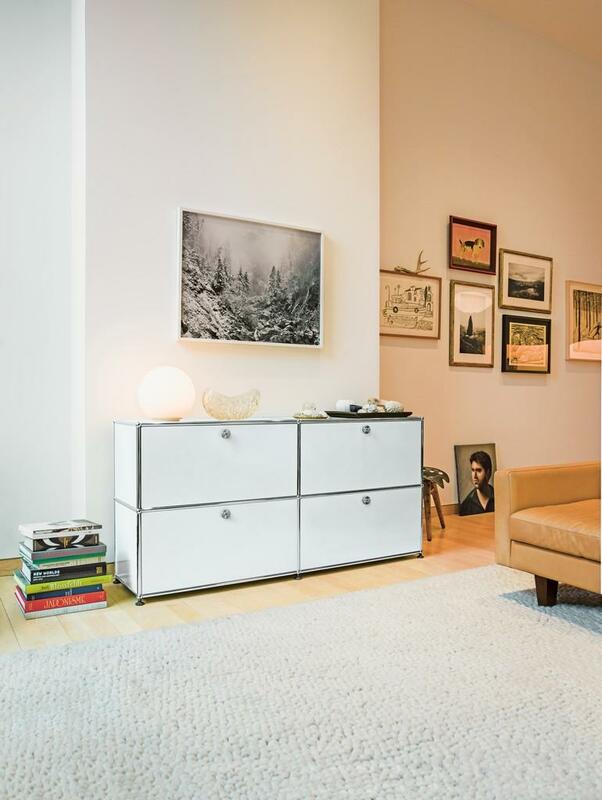 Fritz Haller designed not only USM furniture but also the USM company buildings. 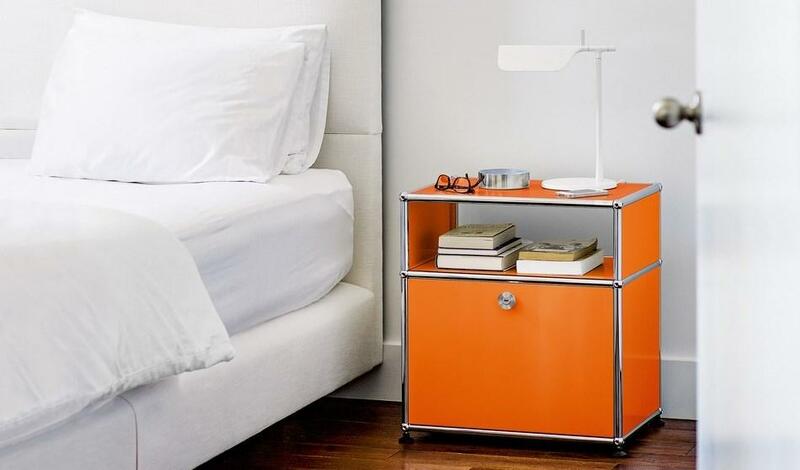 Fritz Haller designed the USM Haller modular furniture system in the 1960s, at a time when functionalism set the tone in international design and architecture. 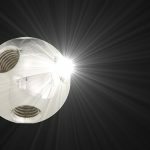 For representatives of the movement such as Haller technical and functional aspects outweighed aesthetic form: purely aesthetic elements such as ornamentation or decoration were rejected. In short: Form follows function. As a principle functionalism had already been employed by, for example, the Bauhaus school at the beginning of the 20th century, reached its peak however after the Second World War: not least because of economic interests and the opportunities functionalist design offered industrial mass production. 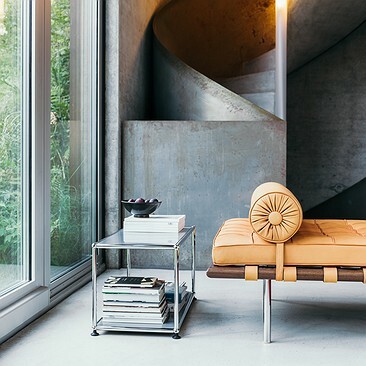 Fritz Haller's multifunctional architecture and interior systems clearly follow the requirements of this functionalist style.